2007-2014 CADILLAC ESCALADE ESV. NEW COMPLETE SET OF 4PCS. 2007-2014 CADILLAC ESCALADE. 2007-2014 CADILLAC ESCALADE EXT. Manufacturer Part #9597950, 9597355, 9598295. Part Number: 9597950, 9597355, 9598295. Hollander #4680. Cadillac Escalade ESV: 2007-2014. Cadillac Escalade EXT: 2007-2014. This factory original center cap is used on one of the 22" factory wheels for the following vehicles. 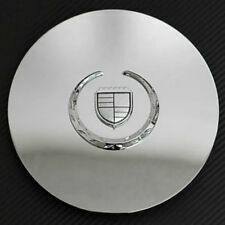 2007 ,2008,2009,2010,2011,2012,2013, 201 4 CADILLAC ESCALADE COLOR CREST 22". · FINISH ON CENTER CAP: ALL MACHINED WITH LOG IN MIDDLE. 2015-2017 Cadillac Escalade ESV. 2015-2017 Cadillac Escalade. 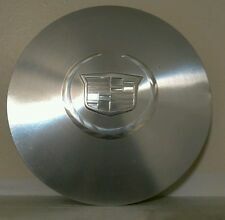 2007 ,2008,2009,2010,2011,2012,2013, 201 4 CADILLAC ESCALADE COLOR CREST 22". · FINISH ON CENTER CAP: ALL MACHINED WITH LOG IN MIDDLE. Our Services. Manufacturer Part Number9596649. You may also like. 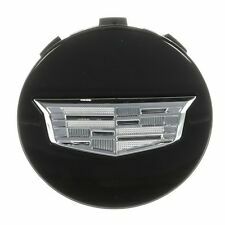 Here is a decent condition used center cap for the 2015-2019 Cadillac Escalade and ESV Platinum model. The part number on the back is 23432319. It fits the 22" 9 spoke wheel as shown in the example photo. ESCALADE ESV 15-18 22x9, 7 spoke, opt Q7L. ESCALADE 15-18 22x9, 7 spoke, opt Q7L. There are multiple wheel options for each year, make and model. We cannot be held responsible if you order the wrong part. ESCALADE ESV 04 20x8-1/2 (opt PD0). ESCALADE ESV 05-06 20x8-1/2, factory (opt PD0). 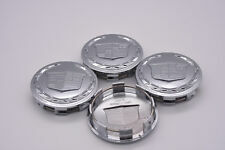 SET OF 4pc 2003-2006 CADILLAC ESCALADE EXT/ESV WHEEL CAP. 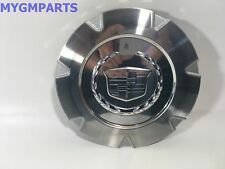 2015-2019 Cadillac Escalade / Escalade ESV 20" 14 Spoke Factory Rims (See Example Photo). 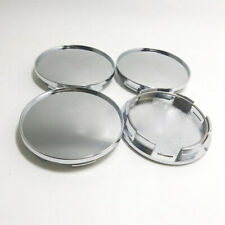 They are used with typical wear / light scratches etc. They fit the 20" 14 spoke wheel as shown in the example photo. ESCALADE ESV 15-18 22x9, 7 spoke, opt Q7L. ESCALADE 15-18 22x9, 7 spoke, opt Q7L. Does not have the Cadillac crest in the middle. The price is for each (1) center cap. There are multiple wheel options for each year, make and model. Owning a Cadillac Escalade ESV means keeping your vehicle functioning at its best and looking its best. Cadillac Escalade wheel center caps help with both of these goals. If you are replacing your ESV wheel center caps, be sure to choose the right ones for your vehicle. What are wheel center caps? Center caps are classified as a type of hubcap. 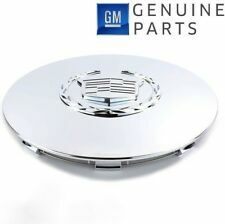 As durable yet decorative discs that are placed over the middle of your Cadillac Escalade ESV's wheel and sometimes over the lug nuts, they serve to protect your brakes and bearings from dirt, debris, and some moisture. In addition, they can hide the lug nuts from plain view to increase the visual appeal of your SUV. What materials are center caps made from? 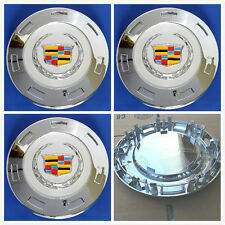 The wheel caps for your Escalade ESV can be made of either plastic or metal. Each material has its own benefits depending on your individual preferences. Metal: Usually, metal caps are attached and held in place with the lug nuts or by screws. Metal center caps are durable and heavy. Due to their increased weight, they can provide more control in certain road conditions. Plastic: Plastic caps snap into place with spring-loaded clips. Plastic is lightweight and can help increase fuel efficiency. Center caps that are plastic are generally simple to install. What is the difference between OEM and aftermarket? When shopping for center covers or caps, you will have a choice between original equipment manufacturer, known as OEM, or aftermarket. OEM parts are made by the brand of the car maker or a subsidiary while aftermarket refers to any other brand. There are benefits to either option. 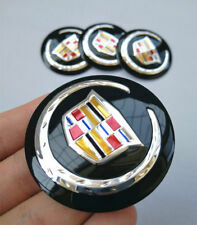 However, if you want the Cadillac icon on your center caps, you will need to choose OEM parts. How do you clean wheel center caps? 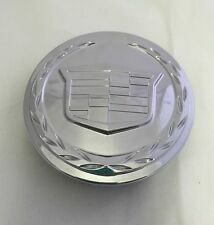 In general, you do not need to remove your Escalade's center caps in order to clean them. You should clean them every time you wash your Cadillac Escalade ESV. You can wash them with regular car washing soap or detergent. You can simply use a sponge or a rag. For stuck-on dirt and grime, it can be helpful to use a brush, warm water, and a high-pressure spray nozzle. Once they are clean, you should dry them with a microfiber cloth. You also have the option to wax them when you are done. Do you need special tools to install center caps? The only tools you might need to remove or install the center caps on your Escalade ESV are a screwdriver and a lug wrench. The screwdriver can be used to help pop off the plastic center caps while you will need the lug wrench to remove the lug nuts.